There’s an increasingly big problem with airlines overbooking flights. Hopefully, flight overbooking reached its apex with the horrible scenes of shouting and violence at Chicago O’Hare airport, as a United Airlines passenger – reportedly a doctor – was forcibly removed from an overbooked flight after refusing to give up his seat. The footage of the incident on YouTube, which is distressing, is a visceral reminder of a strange nuance in air passenger rights. On the one hand, it is perfectly legal for airlines to overbook flights. So it appears from the evidence that as soon as the man refused to leave the plane, he became a “disruptive passenger”. On the other, airlines must ask for volunteers to surrender their seats before they can start bumping passengers against their wishes. If you are involuntarily denied boarding, you can request compensation. >>> Head here for more detailed information about your overbooking rights. You show up to the airport. The gate attendant says there’s not enough room for you. It’s an overbooked flight. How is it possible that you can pay for a ticket on a plane (presumably then reserving a seat on the plane), only to be told there’s not enough room for you? What happened to your seat? What happened is that the airline sold more tickets than there are seats on the plane…and every buyer showed up for the flight. It’s called overbooking. And you’ve got rights. It may sound counterintuitive, but it actually makes sense for an airline to overbook a flight. As surprising as it may be given the cost of air travel, airlines can pretty much count on a certain percentage of passengers to “no show” on every flight. Therefore, they sell more tickets than there are seats to actually fill up their flights. But even though it’s in the airline’s best interest to oversell their flights, that doesn’t mean you should suffer when their calculations are incorrect. The first thing that’s likely to happen with an overbooked flight is the gate attendant will ask people to volunteer to take another flight. They’ll sweeten the deal by offering a travel voucher, often beginning at $200 and then continually increasing if people don’t volunteer. Anyone who isn’t in a huge hurry to get on the flight might take the voucher, thinking they’re getting a really good deal. Why not take a later flight and get paid a couple hundred dollars to do so? Because the airline may actually owe you more than that. What many passengers don’t realize is that they enter into a contract every time they purchase a flight. This is called a contract of carriage and outlines the legal expectations on you and on the airline in regards to your flight. If your flight has been overbooked and not enough passengers volunteer to take a later flight, you could end up being denied boarding. If this happens and your new flight gets you there more than one hour after the original flight time, you could be owed compensation. In other words, if your domestic flight arrives 1-2 hours late, you’re entitled 200% of your one way fare, with a cap of $650. If international, you’re entitled to that if your flight arrives four hours late. If your domestic flight arrives more than two hours late, you’re entitled to 400% of your one way fare, with a cap of $1,300. 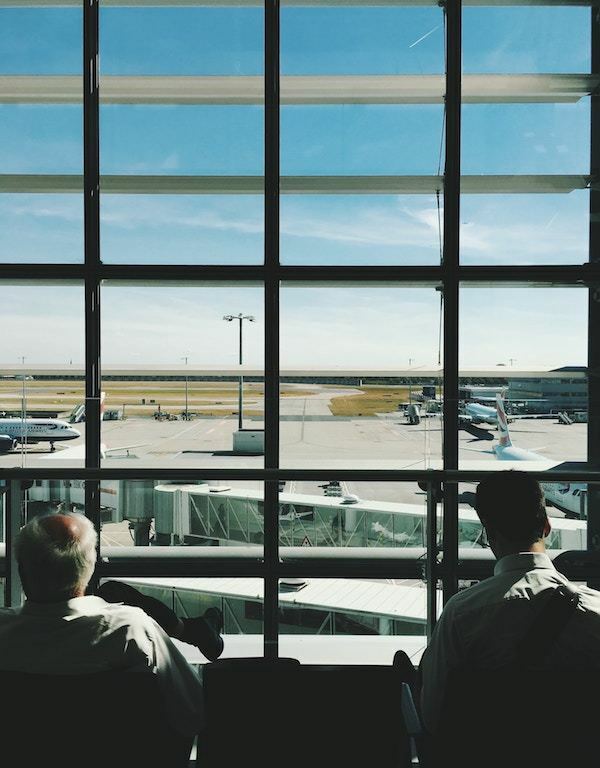 If international, you’re entitled to that if your flight arrives more than four hours late. How about that travel voucher now? If you’re sitting at your gate and just found out your flight has been overbooked, you have a few options for what to do next. 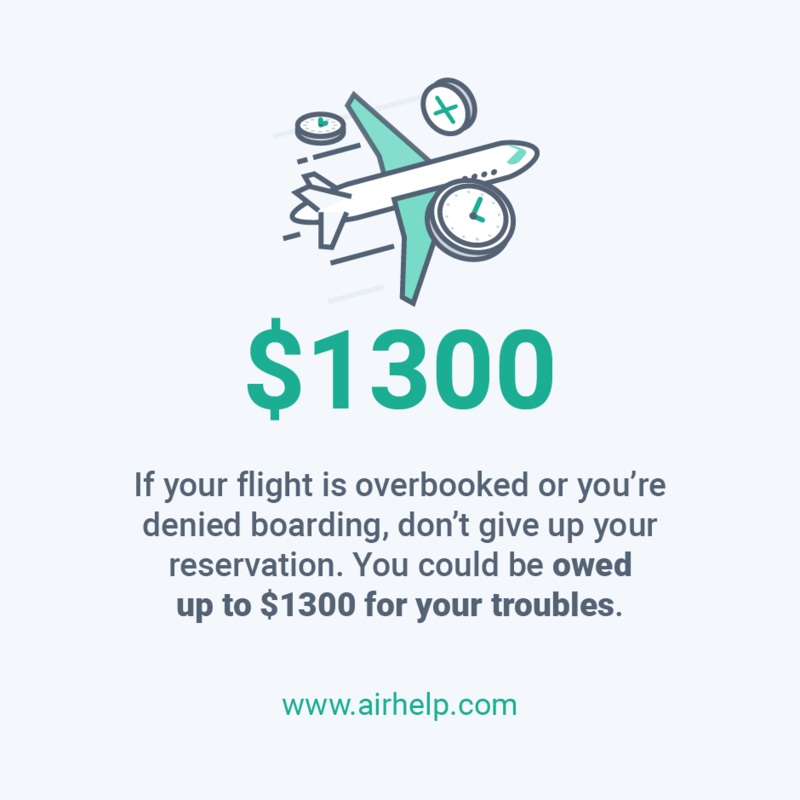 While you could opt to take the travel voucher, keep in mind that this may be preventing you from receiving the compensation you would be due if you ended up being denied boarding. The question will be how important is it for you to get to your destination on time and how much you want a voucher. There often are enough volunteers, which means bypassing the voucher could allow you to remain on your flight. First thing’s first, if you want to end up on your original flight, don’t volunteer to give up your seat in exchange for a travel voucher. This won’t guarantee that you can keep your ticket, but it’s your best chance. If you don’t accept a voucher and you end up being denied boarding anyway, file a claim for compensation from the airline immediately. 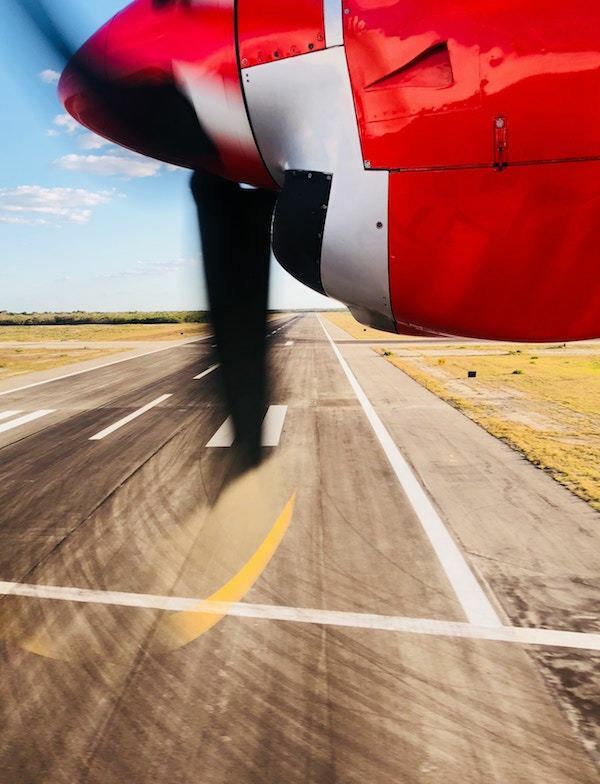 The quickest and easiest way to do this is through AirHelp, where you can simply enter in your flight number and let AirHelp take it from there. Otherwise, talk to the gate attendant or call your airline to begin the claims process while you wait for your next flight. Tell Your Co-Passengers About Their Rights! Finally, spread the word to the other passengers who were denied boarding! Every year, millions of people are entitled to compensation from their airlines, but less than 2% claim their compensation. As more people fight for their rights, the more laws will be changed in favor of passengers. Stand up for your rights anytime you experience a disrupted flight so airlines will be held accountable for their mistakes.